← 111 places in Vienna to see. Challenge accepted! Coming from Chile, one of the advantages of being in Europe is having the possibility to be in a different country in a matter of hours. From Vienna, where we are currently based, you can be in Bratislava, Prague, Slovenia and Budapest to visit the distinct culture, food and architecture of eastern European countries. We drove 250 km approx. to Budapest from Vienna, left on a Friday afternoon; getting out of the city traffic was not that bad. The drive was nice, with a view of the green countryside, and the calm environment, unlike the busy city life. The road was very well-kept, two lane highway with plenty of signals, and information. Coming into Hungary, a toll tag is required so make sure to buy it on the first toll area; it costs about 10 euros for 10 days. If you like to go out, have something to eat, and drink, then I would recommend staying on the Pest side. Buda is beautiful, with small pebble streets and colorful little buildings. It is very quiet and peaceful, if you are into that. We stayed at the NH Pest; it was good price value, and close to everything. What to do in a short weekend? – Castle District. Just walk around the small streets, sit in a Cafe and enjoy the calm mood. – Walk around Váci utca, the pedestrian shopping street. It’s full of Cafes, bars and stores. Great environment. – House of Terror (For the history fans, like me) it gives you an idea of the harsh times Hungarians had during the WWII and Communism. This should not be forgotten. – Andrássy Avenue. This long street leads up to the heroes square and to the park. The cinnamon roll was invented in Hungary., for sure. 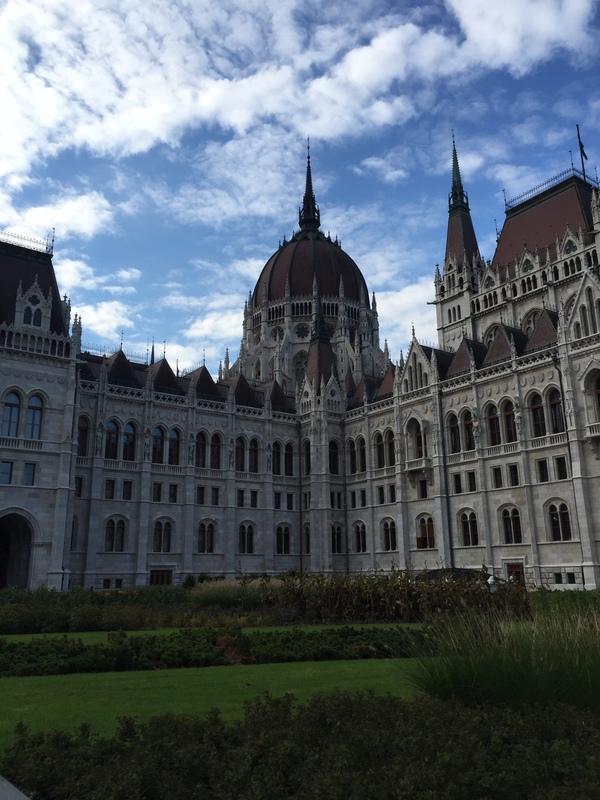 Budapest has a great culinary offer; it has an interesting mix between eastern and western European cooking. You can find from goulash of eastern backgrounds, to bake pastries and strudel typical of the Austrian. However, they both have a Hungarian twist and flavor. We went to several gourmet restaurants, and the plates were carefully prepared, with fresh produces, and great taste. – Retes: this means strudel. They have many kinds filled with different types of fruits. My favorite was the apricot with walnuts. – Kenyerlangos: salty cheese treats that resemble an Italian pizza. They are made out of wheat dough, but instead of tomato and mozzarella, they are spread with a strong sour cheese. On top they have many other toppings, like ham, other types of cheeses, and vegetables. Good mid-day snack! – Gulash: traditional meat stew with paprika. It is a very common plate, which is made in homes traditionally, but you can find it in almost every restaurant. 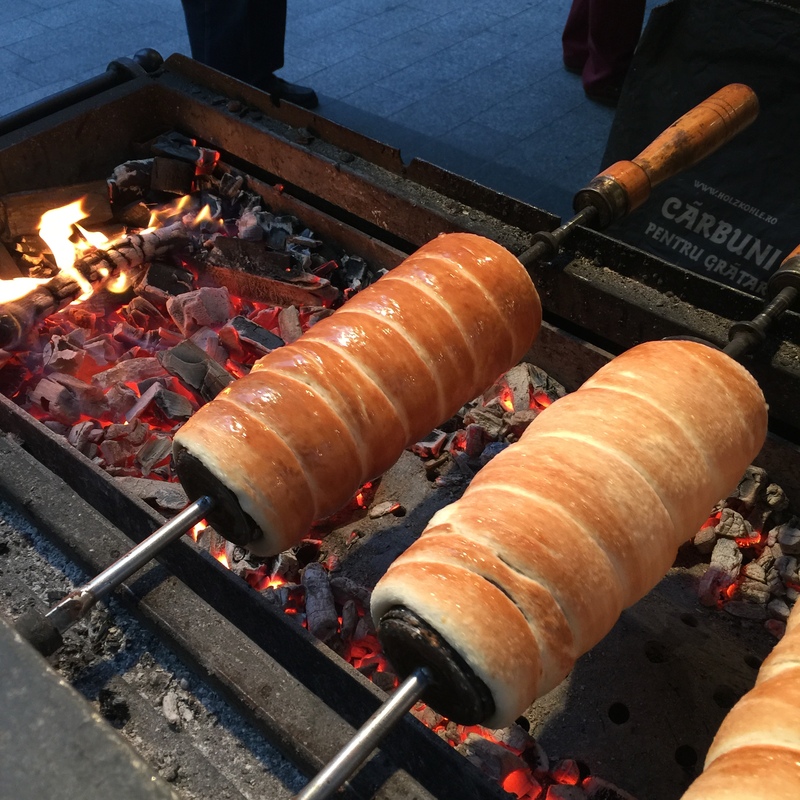 -Kurtoskalacs: The cinnamon rolls ancestor is found here in Hungary. Chimney shape dough is baked in a coal fire and then topped with cinnamon, cocoa, or other sweet toppings. If you have a sweet tooth, this is a MUST. Still dreaming about them every day. – Bikaver Wine: strong red wine typical of Hungary, it is called bull’s blood for its deep color and taste. We had great experiences at Spinoza Cafe, an old style bistro with a unique feel and a mix of Mediterranean and Hungarian food. On the Buda side, don´t miss Pest Buda Bistro, they have a great wine selection. On the Pest Side, we enjoyed Borkonyha a more gourmet option with an offer of international food with local flavors. Only take taxis that have the City Taxi logo on the side. All of them are yellow, but not all have regulated Taxi meters, a lot are fixed to charge tourist more per km. Two times we got charged more; they are thieves and are getting away with it.